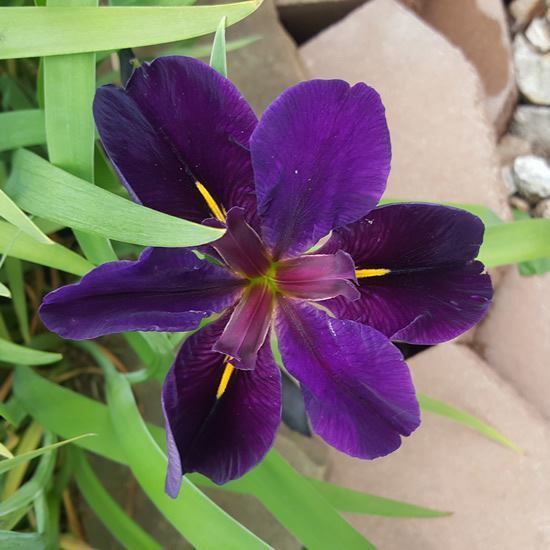 The most vigorous Louisiana Iris ever grown with a flower up to 6" wide and so velvety that gardeners can't resist touching the deep purple petals. The golden throats highlight the ebony hues of the blooms. Splendid in any setting, Black Gamecock is especially effective in waterside plantings. Hardy zones 5-11. Grows well in moist soil to 6" of water. Height when matured 2 to 3 feet. Has long slender dark green leaves. Blooms a purple flower. Good for any bog, container garden or whatever your needs are. It"s the all around purpose plant and one of the most favorites to all watergardeners. Grows well in partial shade in the hotter climates. Full sun for cooler climates.